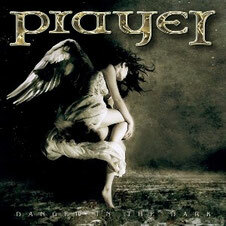 PRAYER is a band plays Melodic Rock/AOR from Oulu in Northern Finland. Their new album 〝Danger In The Dark” which boasts catchy tunes with lots of double guitars and great keyboards, will be released from Escape Music on July 20, 2012. All songs have been written by Tapani Tikkanen, who is on vocals and rhythm guitar and the driving force behind PRAYER. Recorded at Soundmix Studios 2012, Oulu, Finland. Engineered and mixed by Mika Pohjola who is on bass and keyboards, produced by Tapani Tikkanen and Mika Pohjola. Tapani wanted to create a band that brought out his rock and roll heart. After the recording of a few demos Tapani contacted his friend and keyboard-wizard Jari Huvila to talk about forming the band PRAYER. Since “Wrong Address” there has been a line-up change, which now features distinguished keyboards player Mika Pohjola. 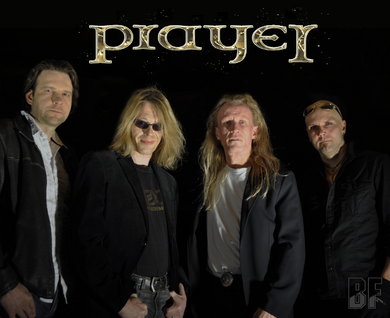 PRAYER play exciting hard melodic rock with a style that joins together the best of Saga, Treat and Royal Hunt.